It was a female voice, which firmly responded to the roll call of Saint-Lambert’s city clerk, to confirm the presence of the alderman for seat number one. 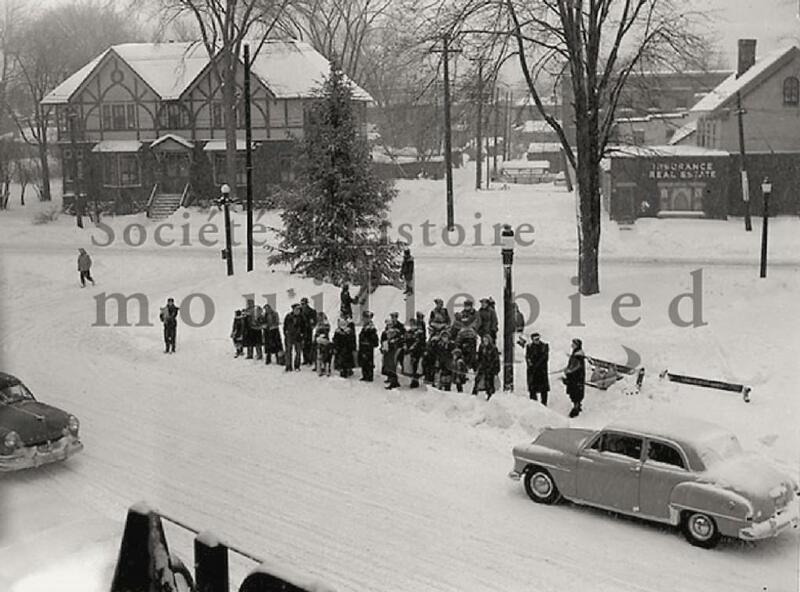 It was May 5, 1947 and the voice belonged to Gertrude Émard, the newly elected city councillor, only the second woman in the province of Quebec to do so. She would serve two terms, first with Mayor C.A. Comeau and then with Mayor N.H. Simms. But these tenures turned out to be no smooth sailing, for a woman, through hitherto unchartered political waters. 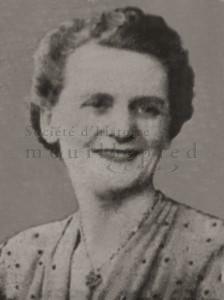 The honour of being the trailblazing politician falls to Kathleen Fisher, who won a seat on Montreal’s City Council as early as December 1940. This is a rather remarkable fact, considering that the right to exercise their franchise was given to women in Quebec only in the spring of that same year. Although women could vote and stand for office in federal elections, a right won nationally in 1918, la Belle Province clung stubbornly to the old ways and treated them as nonpersons, on the same level as chattel, children and imbeciles. It would take another twenty-two year struggle to achieve feminine suffrage. From early on Saint-Lambert had English pioneer settlers, but none of them stayed on for long. One exception is the Smith family, even if some would consider them latecomers; their presence here goes back for more than 185 years. William Smith, the patriarch, was born in Cambridge, England, in 1786 and died in Saint-Lambert in 1852. He came to Canada around 1815 and settled close to Montreal, in the district of Griffintown. In 1816 he became the owner of one of the first brickworks in Montreal. With the construction of the Lachine canal from 1822 to 1825, his brickyard, located in the triangle of the future streets of Ottawa, Murray and McCord became very cramped in. William Smith decided to move lock stock and barrel across the river to Saint-Lambert. 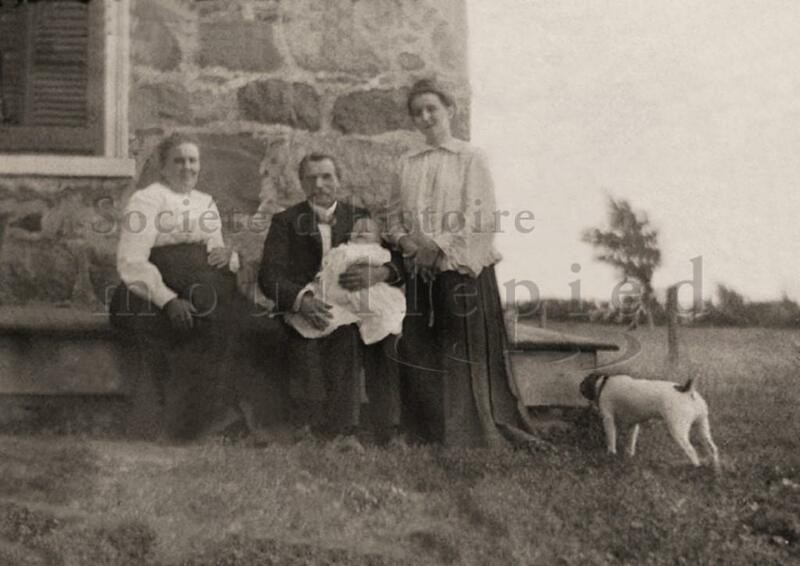 Through a notary’s act, signed October 29, 1832, we learn that the family bought a huge property in the Mouillepied. On May 7, 1962 Councillor J.K. Stewart, responsible for Parks and Playgrounds, is mandated by City Council, under the leadership of Mayor Byron T. Kerr, to procure some preliminary plans for a future arena in Saint-Lambert. 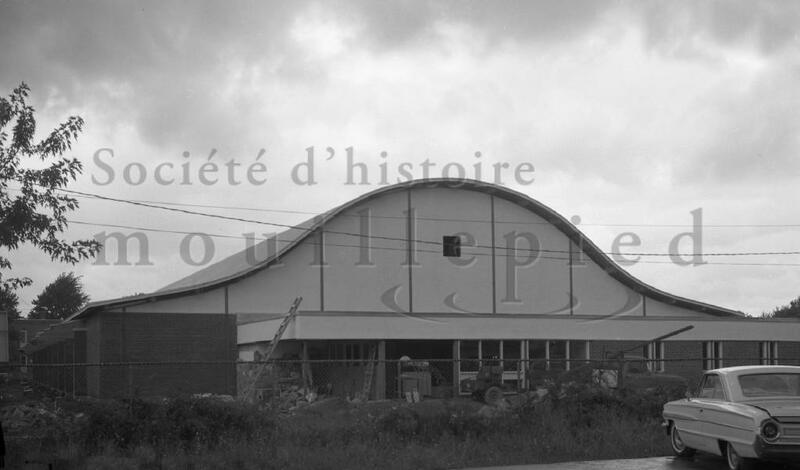 A few weeks later the architect firm of Longpré & Marchand is chosen to elaborate plans for a building, to be erected at a cost of $400,000 on grounds belonging to the Seaway Authority. At the public meeting of September 13, 1962 the proposed bylaw No 581 is put to a vote before the attending property owners. It is rejected by 82 nays against only 3 yeas. A date for a public consultation at large, is set for October 20. Again the project is defeated. 1009 votes are counted: 462 for, 496 against, and 51 null and void. In November of the same year a poll is sent to all households to obtain more detailed opinions concerning an arena. It is 1913; poverty and the cold are a social problem. 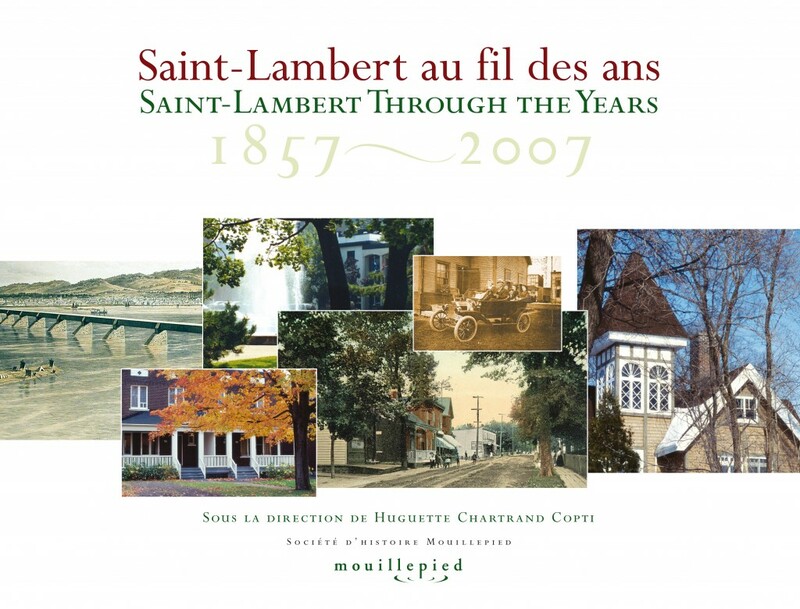 Saint-Lambert is no exception, and the more fortunate in our town are worried. As almost everywhere else in the country, the slack in social services is taken up by members of the bourgeois laity, mostly women. On the Catholic side actions are taken through the parish, on the Protestant side through established community groups. Where have all the cannons gone? This is not a new refrain to Pete Seeger’s famous political song, but a real baffling question for many Lambertans who find in their albums photos of family members posing proudly with these relics from wars long past. 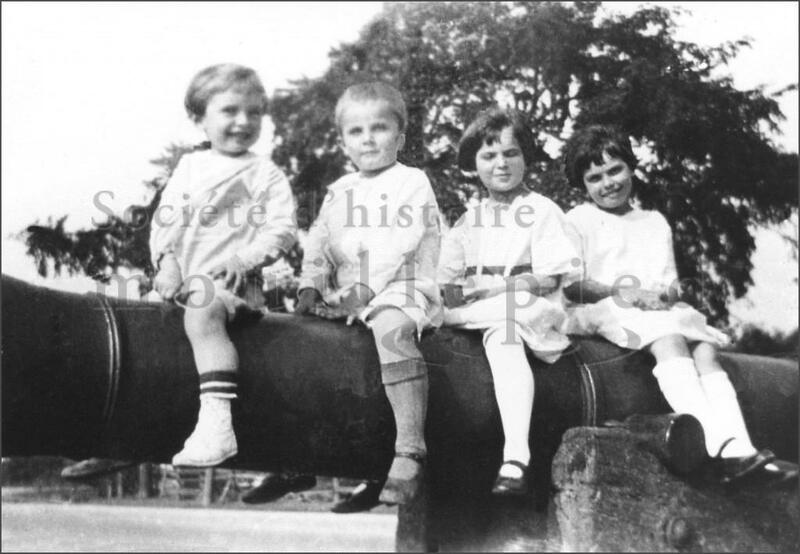 Comparing pictures in its archives, the Mouillepied Historical Society could establish that at least four cannons of different vintage were prominently displayed in Saint-Lambert till the end of the Thirties. One gun stood guard in front of the old Town Hall, what is now Place du Village, another one was situated in front of the LeRoyer Filtration Plant on Riverside, a third one at the intersection of Logan and Riverside and the fourth one at the corner of Desaulniers and Notre Dame. However we could only trace the destiny of one.